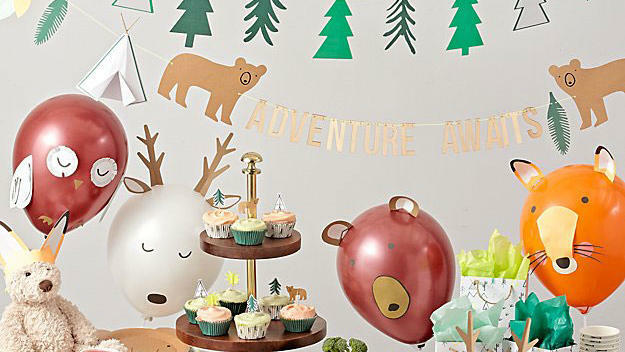 Instill a love of exploration at a young age with an adventure-themed first birthday party. Think of it also as an easy way to introduce outdoors-inspired greens as snacks, like broccoli trees and celery canoes. Don’t forget about the adults, and serve the ideal camping beverage: a . The first birthday is often the occasion for baby’s first sweet treat. What better way to celebrate than with a sweets-filled affair? 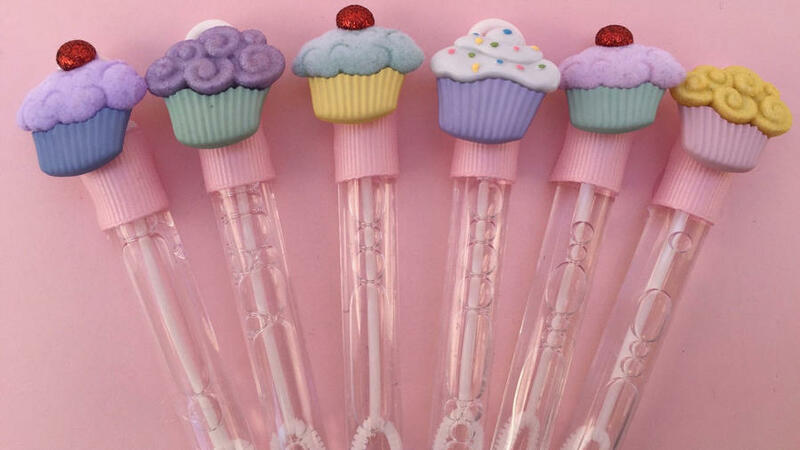 Think mini cupcake bar and cupcake-inspired décor and toys, like these festive bubble wands from Mad Hatter Party Box on Etsy. Inspire your child’s imagination by helping her build a book collection of her own. Invite guests over to a story-themed party, where guests bring their favorite children’s book as their gift. 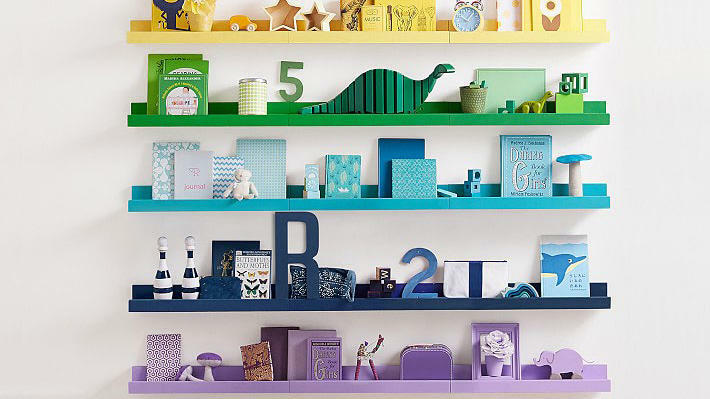 With Pottery Barn Kids’ Pop Color Photo Ledge, you can customize a bright space for your kiddo’s new library to be on display and at hand. Take a journey below the water’s surface with a sea-themed birthday bonanza. Think mermaids, seashells, and sea creatures—and don’t forget the bubbles! Bubbles to blow for the kids and bubbly to drink for the adults, that is. 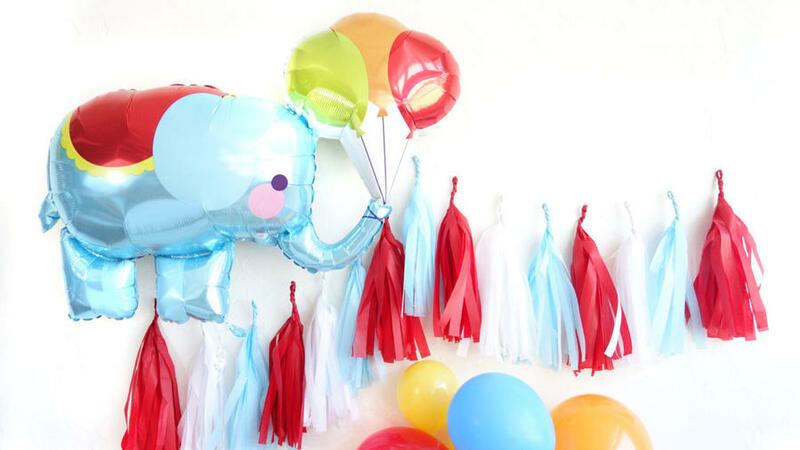 Colorful streamers, balloons, popcorn, and carnival games are all you need to host a festive circus-themed party. Elevate your balloon game with Oh Shiny Paper Co.’s fun Mylar collection. Choo choo! Host a locomotive-themed get-together where the babies get to be the conductors for the day. 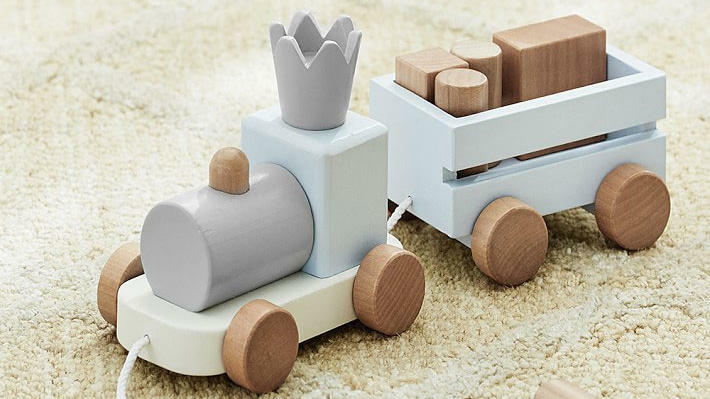 Decorate with kid-friendly toy tracks, conductor signage, and trains, like this set from Pottery Barn Kids made of Schima wood and New Zealand pine. When it comes to snack time, fill the caboose with the birthday baby’s favorite treats. Host a mini “dinner party” for your mini guests. Set up a kid-sized table with an array of baby-friendly fruits, veggies and treats. Meanwhile, adult guests can enjoy their own hors d’oeuvres while supervising the tiny diners. 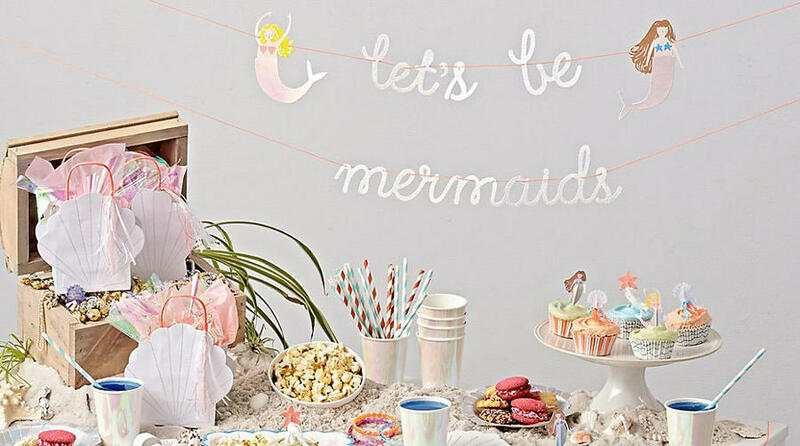 Perfect for a spring or summer birthday, create a magical fairyland in an outdoor space. 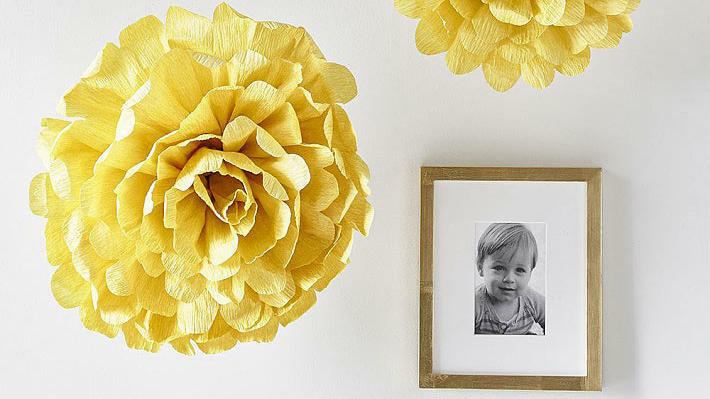 Decorate with bright whimsical florals, like this set of two oversized crepe paper marigolds from Pottery Barn Kids. Adult guests can sip mint juleps and iced tea. 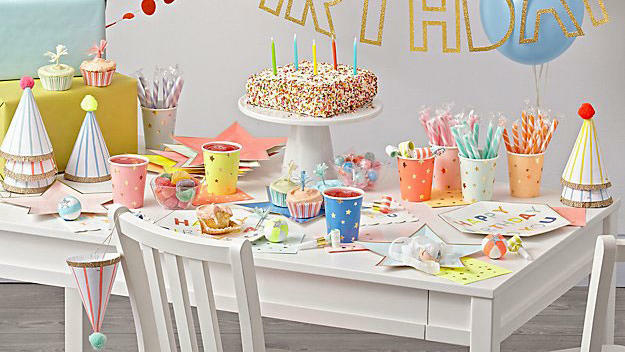 Decorate with an abundance of vibrant and cheerful colors for a rainbow-hued first birthday party. 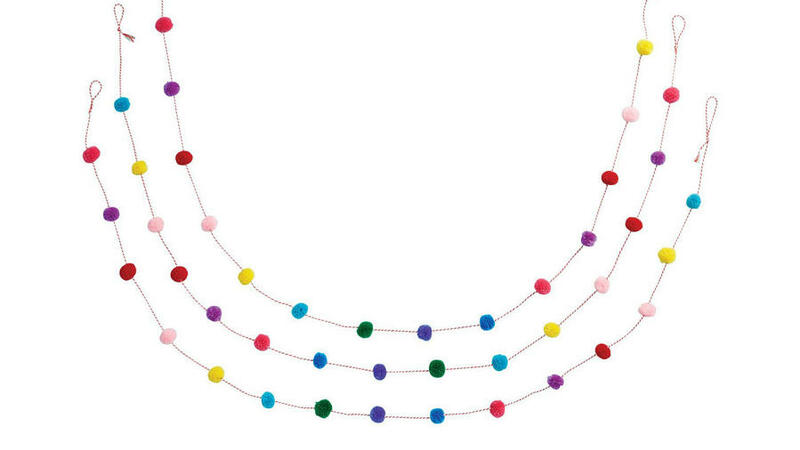 From the streamers and garlands, like this happy number from Target, to the birthday cake and snacks, don’t skimp on the bright hues. Celebrate your numero uno with a number one-themed party. 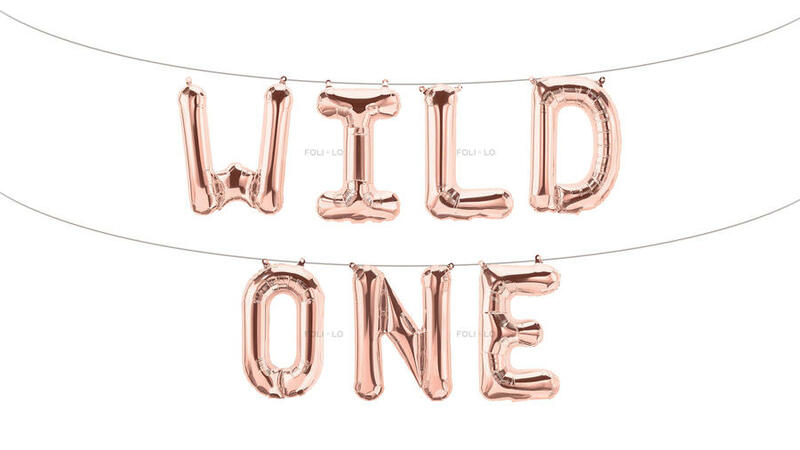 Decorate with Foli + Lo’s rose gold Mylar balloon banner and a make your little one feel extra special with a .
Узнать как купить контактные линзы у нашего менеджера. Нашел в интернете интересный портал , он описывает в статьях про клининг киев.